Hello! Looks like Spring is finally arriving! I sat outside last Sunday the entire day and soaked up some sun. I was quite frankly, desperate for it. I mentioned to my mother that the first rays of sun bring out Dutch people so pale, they look like Twilight vampires sparkling in the sun. It also fills up the outside terraces and cafés, and makes it acceptable to order cocktails and wine before noon. For me, it's mostly an excuse to make fruity desserts. 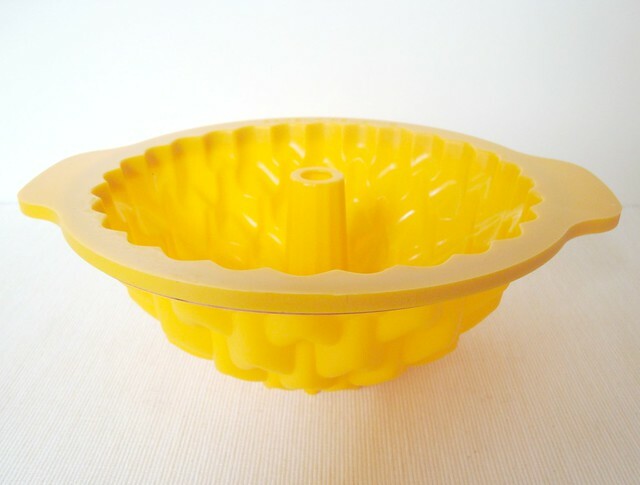 I received a bright yellow Bundt cake pan from Silikomart. The shape reminded me of a combination between a pineapple and a flower. What do you make of it? Well, I went with the pineapple-part and made a luscious, moist pineapple cake. 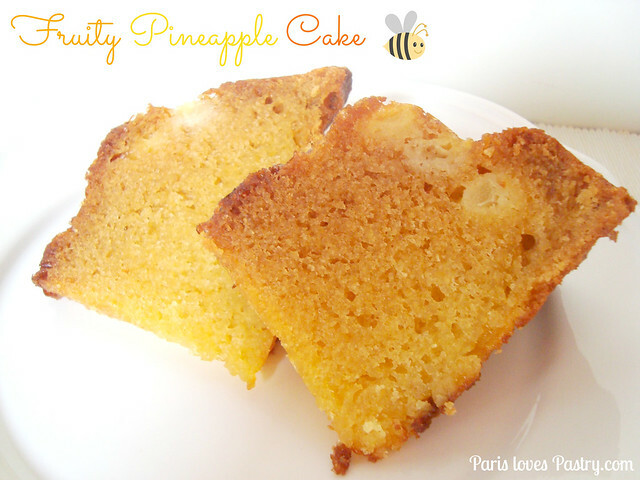 It's actually quite hard to find a pineapple cake recipe that doesn't use coconut. I took a Martha Stewart recipe and made it my own by omitting the coconut and sour cream, and adding fresh pineapple juice and chunks to the cake batter. A wonderful fruity cake came out of the oven that made me long for Summer even more! - Preheat oven to 350 degrees. Butter and flour a cake pan; set aside. In a medium bowl, whisk together flour, baking soda, and salt; set aside. - Using an electric mixer on high speed, beat butter and sugar until light and fluffy. Add eggs, one at a time, beating well after each addition. Reduce speed to low, and alternately add flour mixture in three parts and pineapple juice in two, beginning and ending with flour mixture. Mix just until combined (do not overmix). - Using a rubber spatula, fold pineapple into batter. Spoon into prepared pan, and smooth top. Bake until a toothpick inserted in center comes out clean, 65 to 70 minutes (cover pan with foil halfway through). Let cake cool in pan 15 minutes. Remove from pan, and transfer to a wire rack to cool completely. 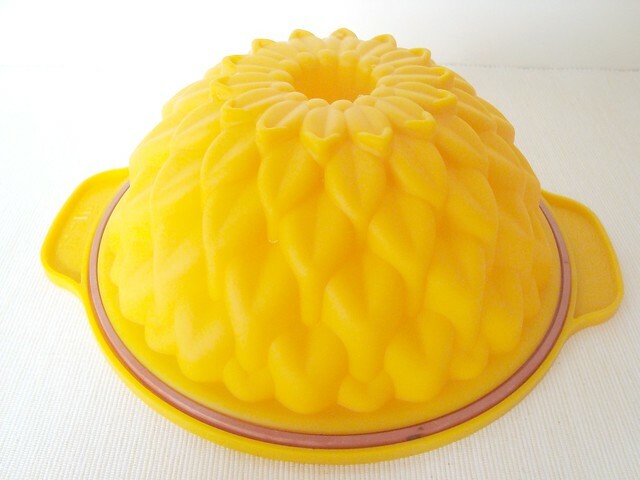 The Silikomart pineapple Bundt pan. I'm not actually sure if it's a pineapple or a flower. On second thought, it might be a flower. But the bright yellow color mislead me for thinking it's a pineapple-shaped pan. Your cake looks so delicious! so thank you for this one! Yum! Looks delicious and I love the pineapple shaped pan!